How much fuel does a vehicle consume? 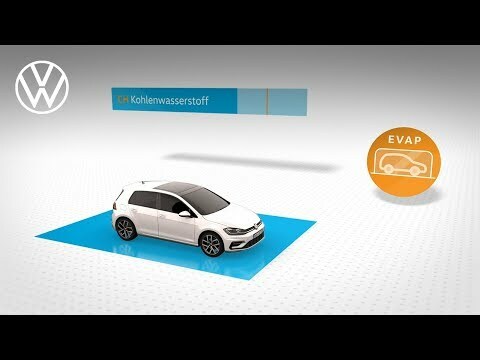 Like other manufacturers, Volkswagen aims to answer this question with the new and standardised WLTP driving cycle. The new test cycle for measuring fuel consumption is perceived to be more closely oriented on everyday driving behaviour. As of September 2017, it has replaced the current NEDC standard. WLTP stands for Worldwide Harmonized Light-Duty Vehicles Test Procedure. This procedure describes a new testing method to estimate a vehicle’s fuel consumption based on real recorded driving data. Anyone wanting to buy a car may want to check the consumption and CO2 emission values. WLTP utilises a profile deemed to be more similar to actual day-to-day usage than the previous NEDC standard. It aims to simulate realistic vehicle behaviour in order to achieve more realistic results. This approach is similar to a synthetic laboratory test and will allow for easier comparisons between different vehicles. One of the primary objectives of the WLTP approach is to provide a standardised means of determining exhaust emissions and energy consumption for different engine systems such as petrol, diesel, CNG and electricity. That is why WLTP not only takes into consideration various situations and speeds but also a vehicle’s different equipment variants and weight classes.Vehicles of the same type must deliver the same test results everywhere in the world when the WLTP measurement procedure is followed correctly. The fuel consumption and emissions are analysed on the roller dynamometer with a dynamic driving profile. This necessary comparability is also why laboratory measurement is essential. When will WLTP come into force? The new WLTP cycle became mandatory on 01.09.2017. As of this time, all new passenger cars and engines introduced by vehicle manufacturers must be specified using WLTP fuel consumption and CO2 emission figures. Will the model portfolios of Volkswagen change? No. At present no changes to the model portfolio are planned, however certain engine and gearbox combinations will change. Individual models and their engines will have to be further engineered in order to achieve even higher efficiency and reduce emissions as per the regulations. However, models will not be discontinued as a result of WLTP. All Volkswagen models will gradually change over to the WLTP test procedures by September 2018. Models not shown do not yet have any derivatives type approved under WLTP. Why are you quoting the old (NEDC) figures for fuel consumption and emissions, instead of the new (WLTP) figures? NEDC CO2 and MPG values are obtained when vehicles are Type Approved using the New European Driving Cycle (NEDC) test. In the UK, NEDC values have been used for taxation and registration documentation for many years. This has been the basis for the official CO2 and fuel consumption values for vehicles homologated through the test cycle. From September 2017 (1 year delay for Light Commercial Vehicles), the old NEDC test will gradually be replaced by the new WLTP test. Due to the change in testing parameters, the CO2 and MPG values obtained under WLTP may be higher than those obtained under NEDC testing. We currently anticipate that taxation, registration and fleet emission targets may continue to based on NEDC values until 2020/2021. Until that changes, and as there will be a mix of NEDC type approved and WLTP type approved vehicles in the market, consumers need a method facilitating direct comparison between different models and different manufacturers. In line with Government guidance, NEDC figures will therefore continue to be stated, even for WLTP type approved vehicles and, where necessary, these figures will be derived from the WLTP data using an industry standard conversion procedure developed by the European Union, CO2MPAS. These derived values are known by various terms: "NEDC derived", "NEDC equivalent" or "NEDC correlated". Both the "NEDC derived" and WLTP values will be shown on the Certificate of Conformity, however it is the "NEDC derived " figures that are the values which will be used in registration and taxation documentation and stated in promotional literature, until further notice from the UK authorities.